Imagine what it would feel like to wake up after a great night’s sleep, free from pain, filled with energy and ready to start a day fulfilling your purpose. Are you frustrated that this isn’t your reality? I get it. I was right there with you…until I was introduced to a simple, whole food that changed my life. 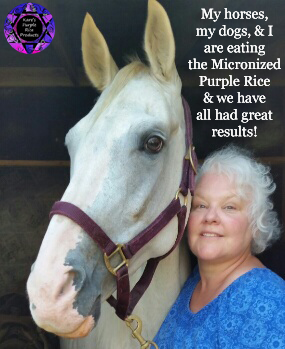 A friend told me about a raw, natural, purple micronized rice product that had given her energy back to her … and had greatly helped both of her parents. I had nothing to lose… And energy to gain. And sure enough, within weeks I to started feeling better, sleeping better, hurting less and less. And over the months, my hair got thicker! My skin started glowing and looking younger. My digestive issues disappeared. I was amazed at my energy, my mood, and my memory. But what happened with my husband Charles is the reason I am sharing this amazing functional food product with anyone who is looking for a natural way to restore health. Charles was critically ill with liver and kidney issues, skyrocketing blood sugars and something on his kidney that needed to be removed – – but he was too ill for surgery. Within a few weeks of eating this concentrated heirloom food powder his skintone went from yellow gray to pink and he began feeling better for the first time in a long time. 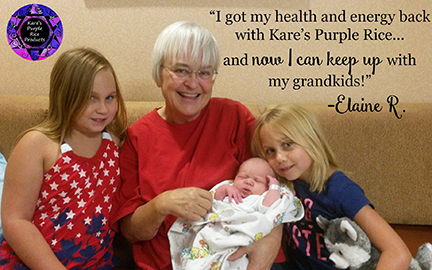 By the third month his blood sugar was lower than it had been in the last 35 years. Over the next few months, his hair went from snow white to salt and pepper, his memory sharpened, and his attitude and energy increased. But the real change, is that because he was so much healthier, his doctor decided he was, in fact, a good candidate for surgery. So, after eating the rice for 8 months or so, on January 2nd, Charles had his right kidney and adrenal gland removed. And all went very, very well, thank God. In fact, the doctors were amazed at how well the surgery went for Charles at 73 years old. He was sitting up without pain within hours after the surgery and walking the next day! After 7 days in the hospital, Charles came home. Although I expected him to be in bed for weeks, he walked into his home office and began working on a marketing campaign to tell more and more people about this amazing product! In my 40+ years involved in natural health and energy medicine I have never before seen a product do so much for so many different people! I feel like I did 20 years ago! 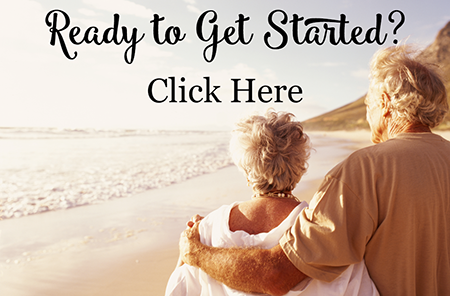 Charles and I are healthy and happy and looking forward to years and years more of loving our lives and helping others renew their health and energy naturally. Call me now at 727-798-8764! 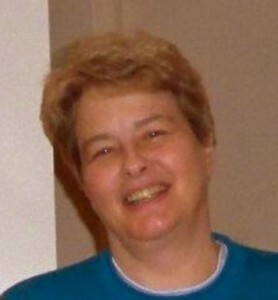 I am here to personally answer your questions and take your orders. 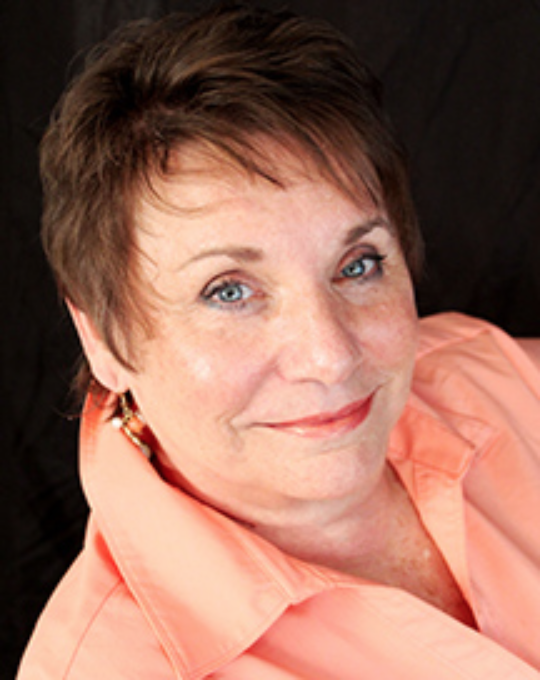 I am looking forward to helping you get started on your wellness journey. -Best of all, my energy levels are way up!! Yesterday, I out-lasted my 2 1/2 year old grandson at the zoo! I carried him part of the way to my car and had to sing to him on the way home to keep him awake for nap time. “I haven’t felt this good or had vibrant energy like this since I was in high school! And you can hear directly from so many other customers in my Facebook Group of more than 30,000 members HERE! This is an ancient strain of purple rice grown in a valley in northern Thailand, hand-picked and free from GMOs. They are able to remove just the nutrients needed to get into the cells and regenerate them. These nutrients contain all the ancient and perfect polysaccharides (many sugars) and every known polypeptides (amino acids)as well as anthocyanins (super antioxidants which are 1,600 times more potent than blueberries). It takes nearly 100 pounds of purple rice to get only 1 pound of these nutrients! And this is the secret to why it works so well, they put these nutrients through a one-of-a-kind milling machine that mills it down to the size of a micron. Because it is so tiny, it can get into any cell no matter how damaged! What Form is the Micronized Purple Rice? For the best results, we typically recommend taking either 1 ½ teaspoons of powder morning and evening or 5 capsules 3 times a day. Personally, I prefer the powder. 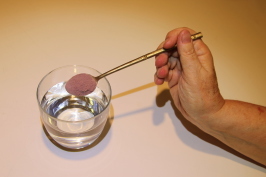 I will mix 1 1/2 teaspoons of powder with 1-2 ounces of room temperature water in a little jar with a lid. Shake it up. And drink it in one big gulp. When taken this way, I believe much of it can enter tight through the cell membranes of your gums, cheeks, throat, esophagus, and stomach before being digested. How Long Do I Need To Eat This For? How Long Until I Should See Results? You body will use this nutrition where it needs it most, first. Ideally, I recommend that people give this at least 6 months to get in and regenerate your cells, with a minimum commitment of at least 3 months. For myself, I plan to eat this the rest of my life. I often tell people, this isn’t a quick fix. But it is a real fix. While some people begin noticing changes very quickly, for many it can take some time to notice significant results. For me, I didn’t really notice much going on in the first month or so. It was only because I happened to have blood work scheduled that I knew the difference it was making. For Charles, while his skin pinked up and he felt better after a few weeks, it was a solid 3 months before we saw changes in his morning blood sugar. How long did it take your body to get to where it is today? No. This is a raw whole food. However, you may go through a detox. The capsules have no real taste. They are put into vegetarian gel caps. The powder has very little taste to it. It’s just the Micronized Heart of Purple Rice, so it taste a bit like rice. This is a raw, whole food. There are no chemicals, pesticides, or GMOs in the soil or on the rice. 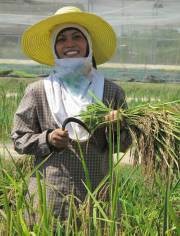 In fact, they even hand-pick and carry the rice out because no trucks are allowed into the fields. It does not have an official organic label, simply because it is grown in Thailand instead of the US. This Sounds Amazing! But What is the Cost? First, let me ask you…How much is your health worth to you? How much have you paid already for doctors visits? Medications? Surgery? Health insurance? Would spending $20 a day on your health be worth it to you? What about $10? Or $5? It’s not $20 a day. It’s not $10 a day. 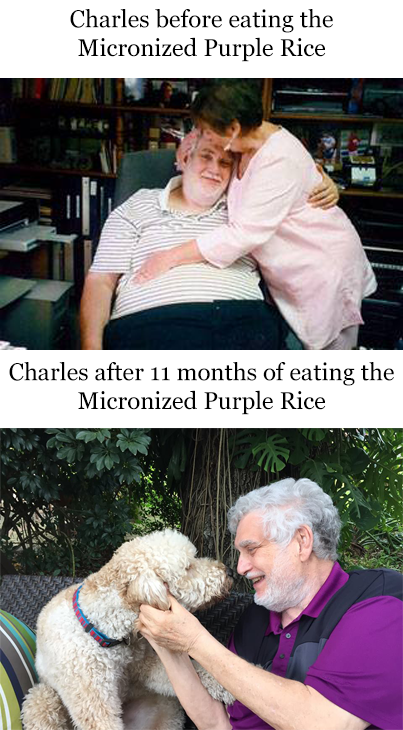 The Micronized Purple Rice costs less than $5 per day. That’s less than you’ll spend getting your daily latte at Starbucks. We work hard to give you the best wholesale prices possible. Typically when you buy just one bottle, it’s $99. However, when you buy 2 bottles at a time that drops to the only $65 per bottle. AND with your first order, we will gift you a 3rd bottle! So, you’ll get 2 bottles for $130 with a 3rd bottle as our gift to you! With the first order, we ship it priority mail, which costs $12. Tax varies from state-to-state. If you’re doing our recommended serving size of 3 heaping teaspoons a day, you’ll go through those 3 bottles a month. What if I Want More Than 3 Bottles Initially? Is There Better Pricing? Yes! The price goes down from $65 a bottle to $56 a bottle when you order 3 or more. If you buy 3 bottles at a time, we can get it to you for $169. And with your first order, we will of course still gift you an additional bottle! If you buy 4 bottles at a time, we can get it to you for $225. And of course, with your first order, we will gift you an additional bottle! Alright, I’m Ready! How Do I Order? 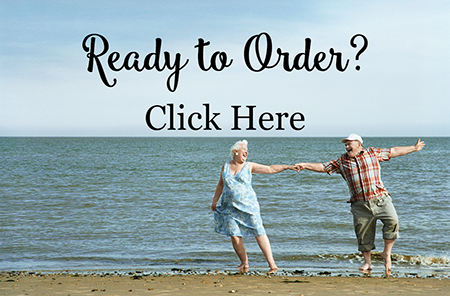 To place your order, either click the picture to order online or give us a call at 727-798-8764. I will answer your calls between 9 am and 9 pm Eastern Time 7 days a week. If you order the Micronized Purple Rice and decide it’s not right for you, you can return any unopened bottles for a refund. Most people choose to go on an automatic shipment. This is the easiest way to make sure you don’t run out of the Micronized Purple Rice. When you order 3 or 4 bottles on autoship you get the lowest wholesale price — AND your shipping is FREE. You can always change the date – stop it, add to it, skip a month, etc – at any time! However, if you prefer you can re-order as you like by giving us a call at 727-798-8764. Did I Leave Anything Out? Have More Questions? Or you can email me directly at kare@highfrequencywellness.com. How would you feel if you woke up after a great night’s sleep, free from pain, ready to go for a great day keeping up with your kids or grandkids? 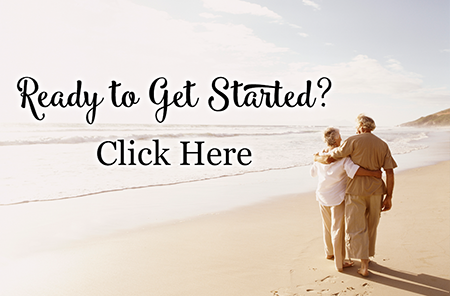 Click the picture above or better yet call me at 727-798-8764.